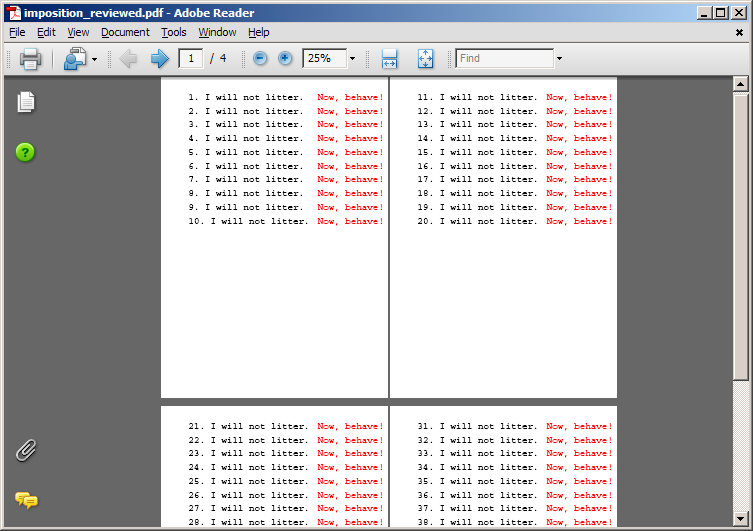 In Version v3.0.4, we have introduced a new method named AddPageBreak() in the PDFDocument class. This method behaves like the similar feature in Microsoft Word and other word-processing applications. It inserts a new page and makes it the current page for further content rendering operations. However, the method does this only when it is creating a document. When this method is called after loading an existing document, then no new page is created but the next page is made the current page and the focus of further rendering operations. To find out how this works, create a Windows Forms project, add two buttons and use the following click-event handlers. 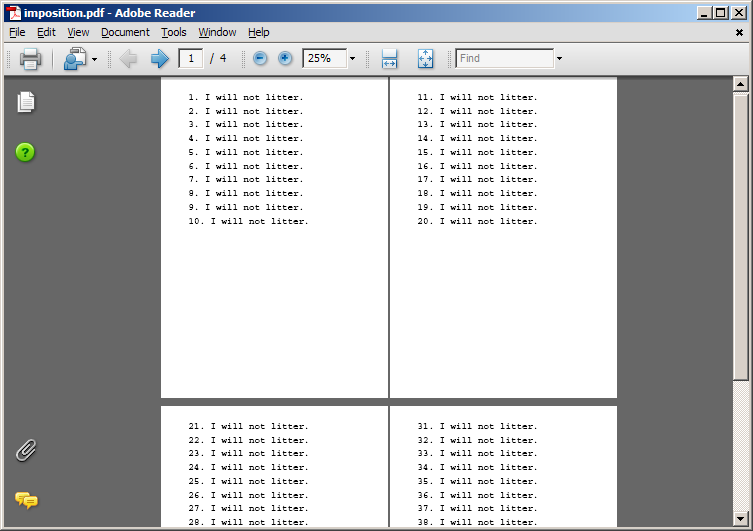 When you run the application and click on the first button, it will create a PDF document like this. The method AddPageBreak() creates a new page each time it is called. When you click the second button, new pages are not created. However, the focus simply moves to the next page and rendering operations resume from there. Thanks to this behaviour, we are able to render content where it was previously left off when the document was first created.